There is nothing quite like a natural disaster to put things in perspective, which is so unfortunate in so many ways. Today I wanted to kick off my post with this video from the devastating tornado that brought Moore, Oklahoma to its knees yesterday. A lot of people have died. A lot more people are "expected" to be found dead. And a lot of those people are kids who woke up yesterday morning probably super stoked that it was almost summer time, and then didn't come home from school. Amidst this terrible tragedy, this video made me cry tears of happiness this morning. I keep re-watching it, fast forwarding it, rewinding it - and crying every time. Here I was yesterday, goofing around with my mom at Target, throwing myself a pity party because I didn't want to spend money on a new kitchen rug - and then I see this. This. Talk about perspective. Before the tragedy yesterday, you wonder what these people did this past weekend, without any clue that their world would be turned upside down in one short day. 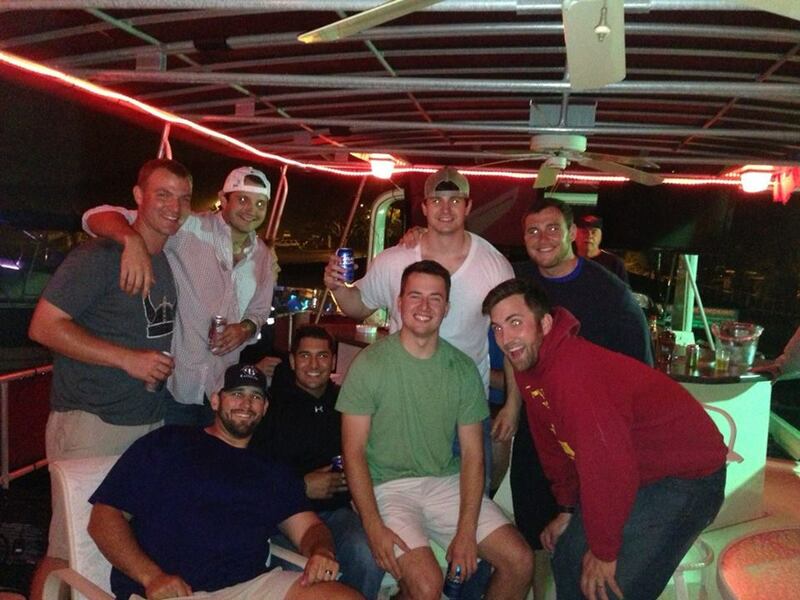 Maybe they went on a boys' weekend to a lake in Tennessee to celebrate their friend's last few weeks of bachelor-hood. Adam did. Maybe they hung out with their favorite pup (who was posing hysterically). I bet the woman in the video sure did. I did. Maybe they surprised a friend and helped her celebrate her birthday.... complete with guinea pigs and their own personal party hats. This one is probably far fetched for anyone else, but I did. Maybe they went to a Sips n Strokes class with their favorite sisters and mother-in-law. Painting a Tuscan Villa in anticipation of their trip to Italy this summer. I did. I guarantee no one spent their weekend thinking about a storm that would hit one day later and turn their world upside down. I pray those affected know their city, state, nation have already rallied behind them. Get well soon, Moore. Finishing up my first event season in the sun!